Today, during a Senate Armed Services Committee hearing on the nomination of Dr. Ash Carter as Secretary of Defense, U.S. 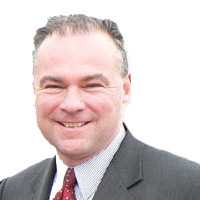 Senator Tim Kaine reiterated his call for the President to send a draft Authorization for Use of Military Force (AUMF) to spur Congress to debate and vote on the mission against the Islamic State of Iraq and the Levant (ISIL). Since June 2014, Kaine has been calling on the Obama Administration to seek Congressional authorization for U.S. military force against ISIL. In December, Kaine’s efforts helped lead the Foreign Relations Committee to hold a public hearing with Secretary of State John Kerry, mark up an AUMF, and pass it out of Committee.